Do Giraffes Sleep Standing Up or Sitting Down? Let’s go ahead and start this post out really honestly: giraffes are really freaking weird. Now that is out of the way, let’s get to why you’re here. It’s either the middle of the night and you can’t sleep (Psst. We have more information on that and some helpful tips.) or you’ve come to the point in the argument/bet with your sibling/spouse/friend where it’s time to see who is correct after all. 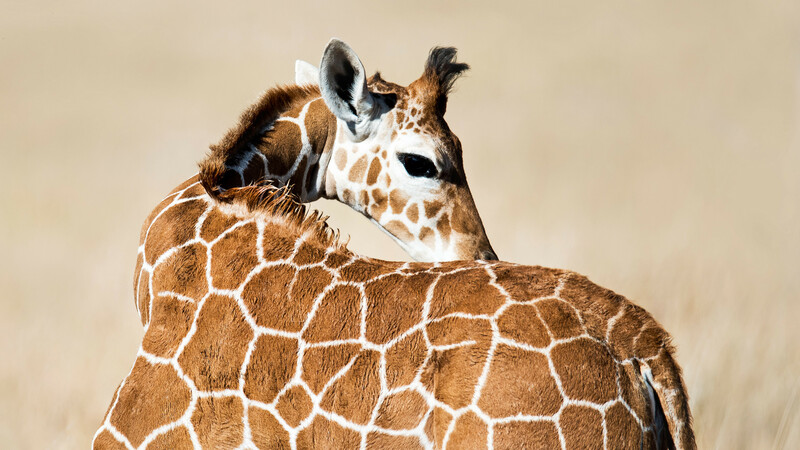 The short answer is you’re both right: giraffes sleep both standing up and lying down. The long answer gets slightly more complicated and is much more interesting. To start, let’s clarify that giraffes only sleep a few hours a day. Some don’t even sleep that much. In captivity, adult giraffes have been observed sleeping as much as four and a half hours a day. In the wild, giraffes might only sleep about 40 minutes a day—and only about three to five minutes at a time. 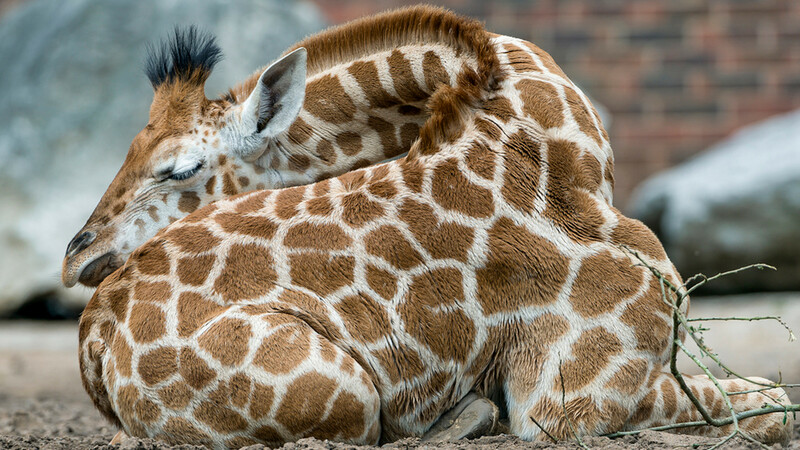 Researches have observed three types of sleep in giraffes: standing, recumbent, and paradoxical. The latter is similar to REM (rapid eye movement) sleep. 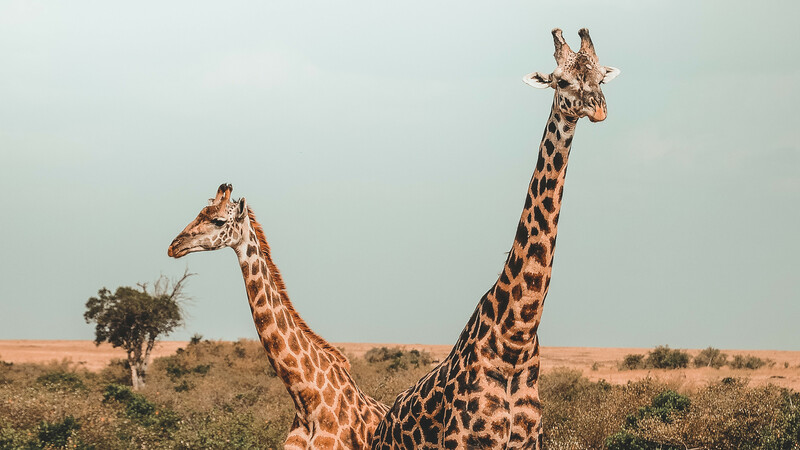 Standing sleep is characterized by a giraffe standing up, yet motionless, with its head tilted slightly more forward than it is when awake. This is thought to be essentially a light nap for them and makes up a majority of their sleep. During recumbent and paradoxical sleep, a giraffe can be observed lying down with their legs folded under them, their neck turned and arched backward and their heads resting on their rumps or the ground—similar to a swan. But why do giraffes not get more sleep? Researchers have a few theories for this. For starters, it’s simple self-defense. The Serengeti is a dangerous place and lying down in the plain sight for hours at a time makes one particularly vulnerable to predators. Especially when getting up and down is a fairly awkward and slow process for such a gangly animal. Secondly, as ruminators, giraffes spend a good portion of their day chewing on their cud to help further breakdown the food. There simply could just not be enough time in the day to eat the amount of calories they need, digest it and sleep. Baby giraffes get to sleep lying down. Young giraffes, known as calves, spend about a quarter of their time sleeping do so lying down with their heads on their rumps. Calves clearly need a bit more sleep than adult giraffes and have the benefit of having their mother and other members of the group, known as a tower, standing watch to protect them. So not only do their necks (and weird horns called ossicones) not make sense, either do giraffes’ sleeping habits. They are still pretty cool though.